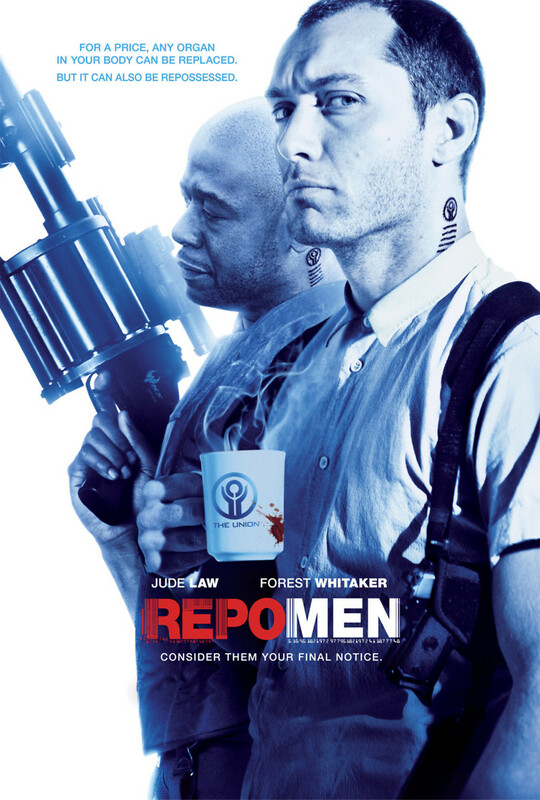 Repo Men DVD and Blu-ray release date was set for January 16, 2011. In a future world, the possibilities afforded by technology are endless. Even most body parts can be reproduced mechanically and keep you alive and relatively healthy. These parts, manufactured by a mega company with control throughout the government, come with a price. They can be financed, but the contract requires repayment or the organs must be recovered. This is all just doing business until the top repo man needs a heart replacement himself. After the operation, he has a change of heart and is no longer able to complete his job. He becomes the target of his former partner and has to go on the run.